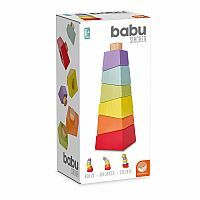 PURE AND SIMPLE: babu Stacker's whimsical shape delivers a modern twist on toy blocks, giving kids creative play options along with a basic lesson in balance. 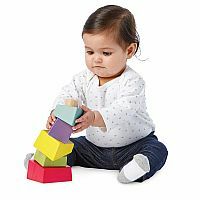 SKILLS STACK UP: This clever wooden stacking puzzle develops hand-eye coordination, spatial recognition and gross motor development for kids of all ages, along with plenty of color sorting fun! 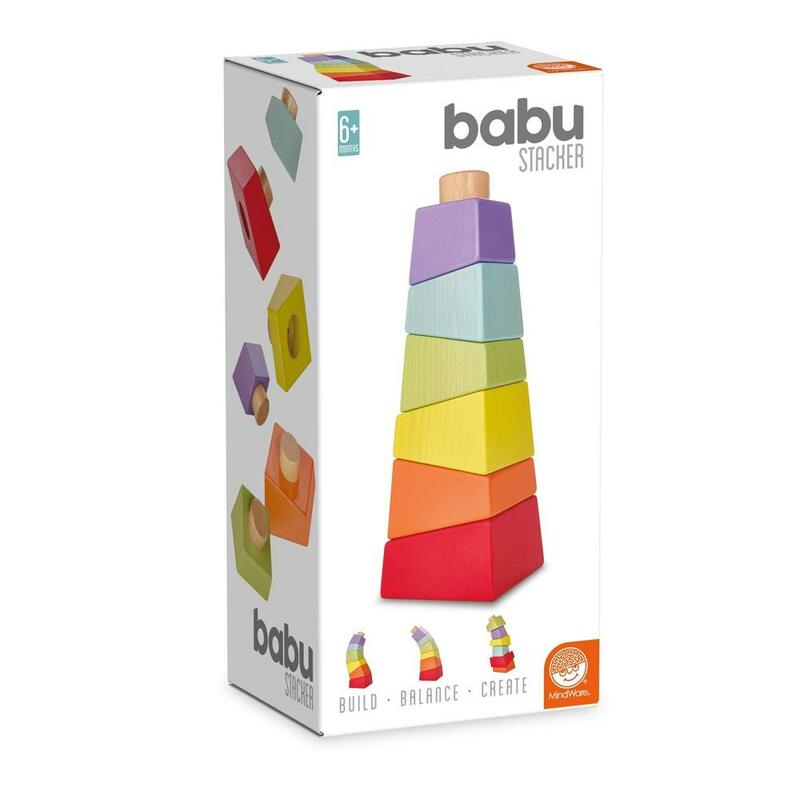 STACK BY SHAPE: Make a traditional pyramid by stacking the sleek rainbow pieces by size and sequence, or twist and turn them to make a more playful shape. HEIRLOOM QUALITY: Each colorful Stack piece is crafted from solid hardwood with a non-toxic, BPA-free, water-based finish. It’s a timeless, artistic addition to your wooden toys.